I love to bend, twist and shape 2.0 technology to deliver creative, integrated marketing results that hit real business imperatives – inside and outside of organizations. I love to collaborate with and inspire innovative, accountable people passionate about more effective, efficient, exhilarating ways of shipping great ideas. I love to stay in process with my own personal transformation – staying unattached to "right" and "wrong" – staying open to new possibilities and fresh strategies. For the past 22 years, I've worked at and owned ad agencies large and small. I love great brands (large & small) and I love tinkering with the total mix of powerful ways to build them today. 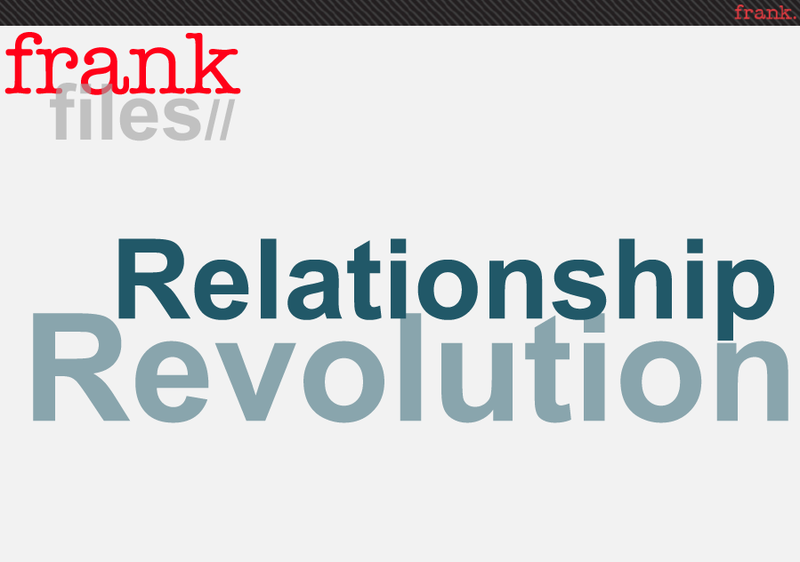 Social media, web 2.0 (or whatever you choose to call it) is fueling conversation, collaboration and innovation ... collapsing distance between brands and the people who love them – inside and outside of organizations. Uniquely blending culture, brand and tech, I co-created frank in 2005 to deliver employee engagement and marketing services that drive business results through internal and external social media campaigns. 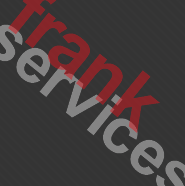 We do it for a lot of great clients (see frank below). frank's bottom line? Today's great brands shine from the inside out: leaders, managers, employees, products / services, marketing all aligned and co-creating new opportunities with their best customers and business partners. Those are type of brands we love to help build! "When a project calls for breakthrough thinking, I look to John and his colleagues at frank. With his unique insights, John stretches my initial assumptions about a project to uncover opportunities and creative solutions that I would otherwise miss. Partnering with the frank team is an inspiring experience, and the effects extend far beyond the individual project at hand. Oh, and did I mention that John is FAST, often producing jaw-droppingly good materials overnight? I can't say enough about that." “In addition to his insight and creative talent, John has an extraordinary ability to get others to ask the right questions. He can fill up a whiteboard faster than anyone I've seen without ever picking up a marker. I am inspired by his commitment to promote youth literacy. John is an authentic leader." Leadership consulting company delivering authentic branding and organizational courage through social media. Never mind my career: those were among three of the most powerful years of my life! In the past 10 years I focused on marketing to consumers 50 and better, I've specialized in the industries of health and well-being, retirement communities, financial services and travel and tourism, including work for Medtronic, Sag Harbor, Turkish Tourist Office and Waters of Vermilion - a maintenance-free community of luxury cabins on Lake Vermilion in Northern Minnesota. My work has also captured the attention of the trade and consumer media with feature stories appearing in American Demographics, Minneapolis Star/Tribune, New York Times, PROMO Magazine, St. Paul Pioneer Press and Twin Cities Business Monthly. In 1995, I co-founded The Sandcastle Group: a full-service advertising agency specializing in leading-edge Baby Boomers - consumers aged 50 and better. It was at Sandcastle that I co-created proprietary research methodologies named BAMBI and SAGE to gain deep, qualitative insights into mature consumers. For example, I conceived of sending Sandcastle staff and clients to The AgeGame at University of Minnesota to be sensitized to what it's like being an older member of our society. I also helped draft Sandcastle's Mature Excitement themes: a proprietary group of principles proven to more successfully resonate with and compel mature consumers to take the next step with an advertiser's product or service. After growing Sandcastle to a staff of 15 and several million in revenues in 5 years, we sold the agency to MDC, being folded into Colle+McVoy in 2000 and renaming it CODE50. + Minnesota Chore Corps – an information and referral network designed to help seniors live as independently as possible for as long as possible. Junior writer focused on marketing, advertising, collateral and brochures for Chrysler Canada. social media day at frank! turn social media skeptics into believers!